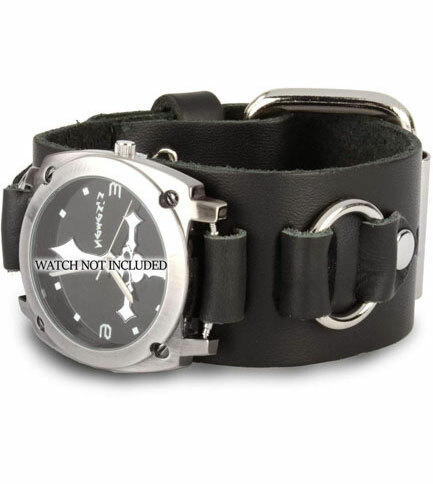 This black real leather watch band come with two chrome rings on either side of the watch strap and one big roller buckle. 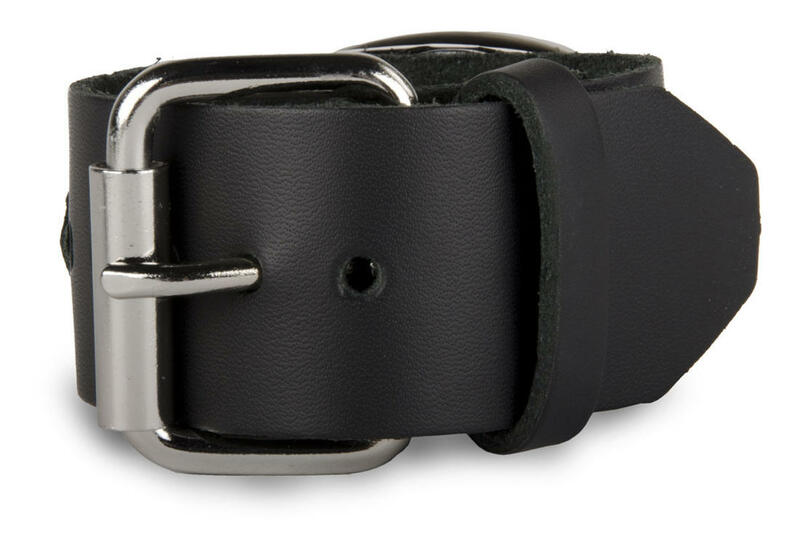 The width of the band is 1 1/2 inches and fits most watches. Watch not included. Made in the US. I just received this in the mail today. It fits very well, the "one size fits most" bit seems pretty true. I'm a decent sized guy at 6ft and 180ish pounds with a fairly muscular frame. The biggest plus about this to me is when it's on, it fits actually far more comfortably than I expected it to. Dare I say... kinda soft and snug. 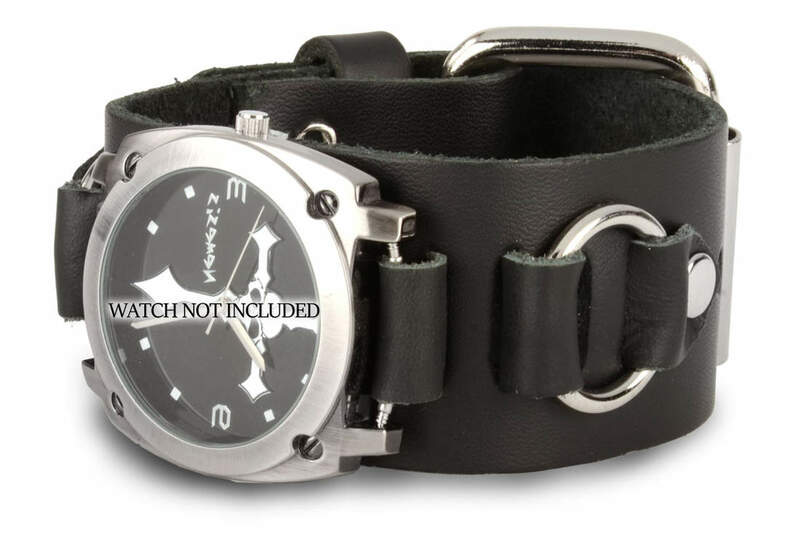 I got it to match one other watchband type of thing I got from a major national retailer of clothes that are of a certain "TOPIC." After closer inspection, while different, they match pretty well.